Auto-Sync photos and videos to computer? 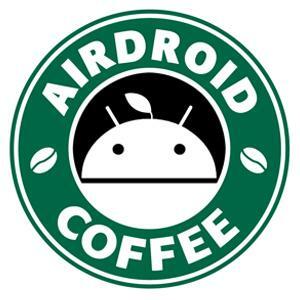 I've just switched to AirDroid today since my HTC Sync Manager is having some problems. Is there a way for my phone to automatically sync photos and videos to my laptop so that I can easily have access and backup to those files on my laptop? Re: Auto-Sync photos and videos to computer? Sorry, auto sync is not supported now. You need to sync them to your laptop manually. I have the exact same question. You can double click on a photo on your airDroid app on Mac laptop and under the share icon, click on 'send to iPhoto'. Unfortunately, my Mom says that will take forever to transfer all the photos. I would appreciate a SME or the AirDroid admin to give us an answer. How do you transfer more than one file to iphoto? Update to: Auto-Sync photos and videos to computer? Since last post is 2yrs old already... I believe AirDroid has worked on -and supposedly solved- the problem of automatically syncronize photos and videos since, although I don´t manage to find the feature still. As there are several picture/video folders on mobile device and AirDroid only backups 1 single folder...how can one be sure everything is being backuped? Any update on this topic?! Do you want to know how to use Backup from phone? What you have mentioned is clear, as I have already had backuped that DCIM folder of my Android. ´As there are several picture/video folders on mobile device and AirDroid only backups 1 single folder...how can one be sure everything is being backuped`? MACies are used to ´TimeMachine´, right? Everything automated. It seems to me that AirDroid is aiming into the right direction but still there is several things to be done manually to make sure ALL data from the phone is backuped, but I may be wrong. Backuping DCIM does that really include all data like 1) every photo & video-folder 2) contacts 3) music?! SD-card has to be backuped separately as one can not choose both origins (phone+SD) at the same time, correct? though automatic backup is activated files do not sync to MAC right away. After I manually touch ´backup´ they do. Would I have to wait longer in order for automatic transfer?